The Nigeria Off-Grid Energy Challenge 2019 is launched. Organised by the United States African Development Foundation (USADF) and All On, it is an initiative to provide financing to young off-grid companies. Young companies have until March 15, 2019 to apply. The electrification of rural areas in Africa now involves off grid. In Nigeria, the most populous country on the African continent, off-grid energy supply initiatives are supported by both politicians and development partners. The American Foundation for African Development (USADF), an independent agency of the US government created by Congress to support and invest in African-owned and -led companies, and All On, a Shell-supported investment company investing in off-grid suppliers in Nigeria, have decided to support this sector in a special way: by organising the Nigeria Off-Grid Energy Challenge 2019. The idea is simple. To participate in this competition, the company must be 100% African owned. In a second step, it must be legally registered in Nigeria. The most important thing is that the promoter must offer an innovative off-grid solution in the field of solar, wind, hydroelectric or biomass. However, the promoter may be the custodian of this innovative solution or simply implement a technology developed by another entity. In Nigeria, as in other countries on the continent, start-ups often need financing for their development. 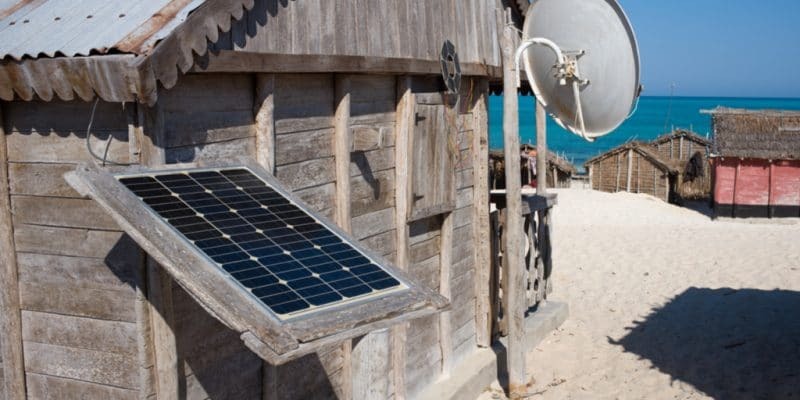 Nigeria Off-Grid Energy Challenge wants to address this issue with merit. During its first edition in 2018, several small businesses took part where, seven were selected. These are Prado Power Ltd, Darway Coast, Auxano, Eastwind, Alyx, Creeds Energy and IKabin. The young companies selected at the end of this innovation competition receive up to $100,000 in investment. “Up to $50,000 per selected company will be provided in the form of All On convertible debt, while up to $50,000 in the form of a grant will be provided by USADF,” the two entities said. Initiatives such as USADF and All On have emerged in Africa in recent years to support innovation in energy supply. This is the case with the Africa Energy Generation Prize. It is organised by Energy Generation, a pan-African organisation whose objective is to promote entrepreneurship in the energy sector in Africa. The competition provides training for ten young project leaders in the energy sector. As for Nigeria Off-Grid Energy Challenge 2019, young companies interested in the competition have until March 15, 2019 to apply.